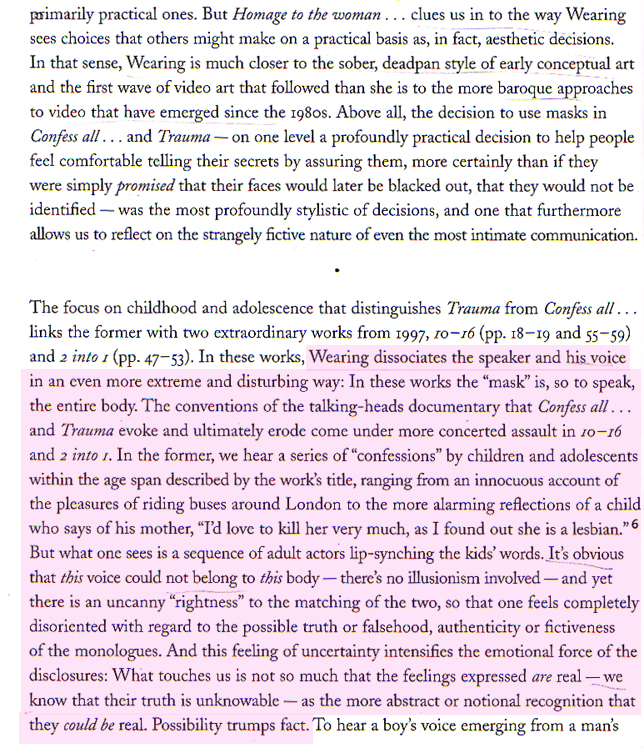 Above are excerpts ftom “Mass Observation” by Gillian Wearing and are concerned with the sound of the narrative voice. Wearing uses sound in her installations to alienate the possibility of “truth” and often mis matches visual and audio. 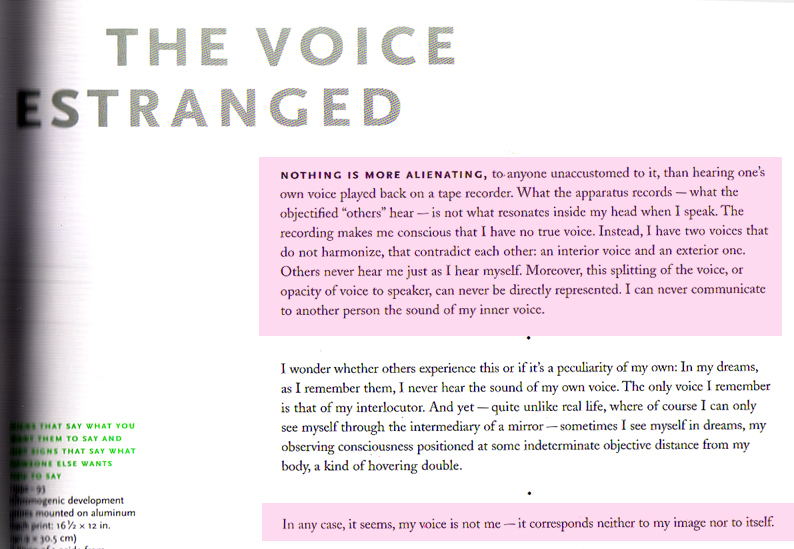 This is somethnig I have not attempted in an extreme form in my piece but I do feel as though her comments are relevant as they speak about the inner voice. The voice that I am suggesting is concealed by our family imagery and the narrative voice that gives this work an element of the auto biographical.